Adoptive families can claim a tax credit on their income tax returns to offset out-of-pocket expenses incurred during the adoption process. In theory, the adoption tax credit can help make the adoption process more affordable for families. But in reality, it can be complicated to understand. It’s important to work with a tax professional who is familiar with the adoption tax credit to ensure it’s filed correctly. To make the process of claiming the adoption tax credit easier, it is crucial to stay organized during the adoption process itself. Keep a thorough record of any adoption-related expenses, like agency fees, attorney fees, court costs, travel expenses, etc. Save all receipts and paperwork regarding the adoption process. Additionally, it may be a good idea to make a photocopy of your receipts since they tend to fade over time. The types of documentation a family needs in order to claim the adoption tax credit depends on whether the child’s adoption has already been finalized. A trusted tax professional can guide a family about which documents are needed for them to claim the credit. It’s important to note that while most people will claim the adoption tax credit after an adoption is finalized and their child has a Social Security number, it is often possible to claim adoption-related expenses beforehand. 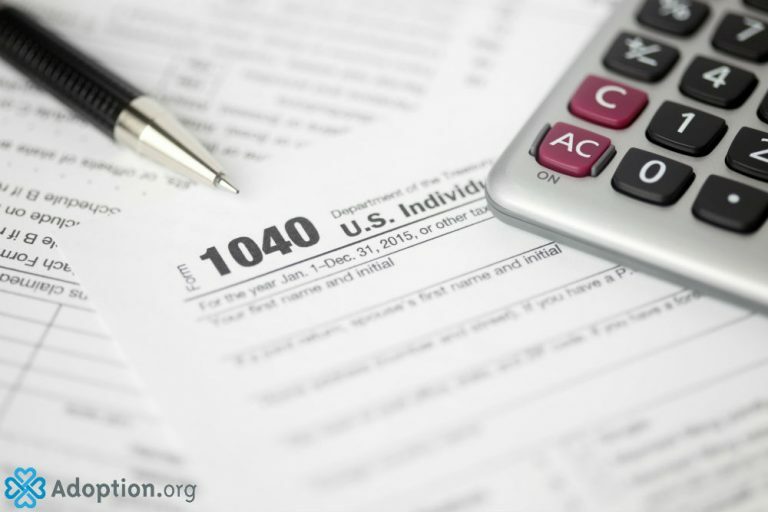 A tax professional can help a family request what’s called an Adoption Taxpayer Identification Number (or ATIN) through the IRS if the family’s child does not have a Social Security number at the time of filing. For the 2017 tax year, the maximum credit adoptive parents can receive is $13,570 per child. This is a non-refundable tax credit, which means it cannot exceed a family’s tax liability for the year, but any unused adoption tax credit can be rolled over to the following year and offset that year’s tax liability. The adoption tax credit can be carried over for up to five years, at which time any unused amount expires. A family’s income can be a factor in whether they are eligible for the tax credit. The income limit on the adoption tax credit is based on your modified adjusted gross income (MAGI). According to the IRS, when a family’s income exceeds $203,540 for the 2017 tax year, the amount of credit is reduced. And if a family’s MAGI exceeds $243,540, the adoption tax credit is completely eliminated. Some states offer a tax credit or subsidy in addition to the federal adoption tax credit. Home study social workers and tax professionals will have more information about possible state credits that can be claimed in addition to the federal adoption tax credit.